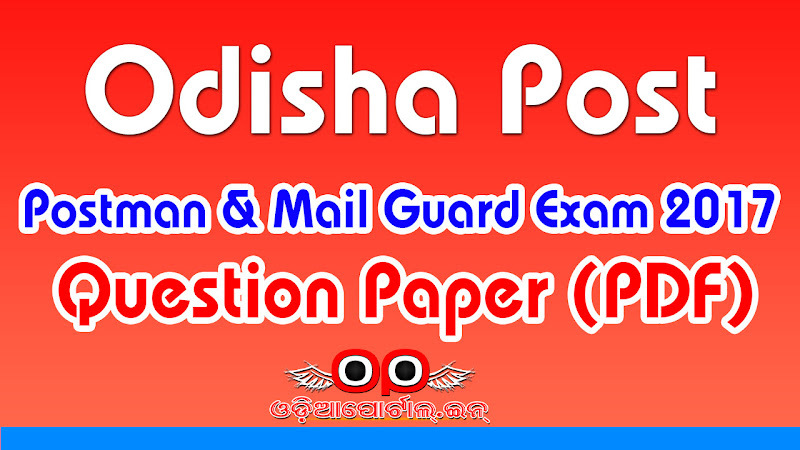 The following is the Question Paper Scan copy (PDF) of DOP Odisha Postman Mail Guard Exam 2017, which was held on 16th April, 2017. The question scan is provided by our Website's true well wisher and contributor Sri Sugyani Biswal, from Angul, Odisha. it is looking so good that in our odisha such portal sites are opened for benefit to the common people. But there should be better , if all the Job post regarding articles are to be published in here..